It’s no secret that at Roadburn they are huge admirers of Enslaved. One of the most hard-hitting and progressive bands to come out of Norway, Enslaved started out as one of the most influential black metal bands ever and through relentless innovation have ensnared other musical genres and artistic expressions and folded them into a new form of truly progressive metal. Clearly they are onto something big, having been recognized for their merging of tradition and modernity in their unique blend of rock, prog and black metal that has earned them Spellemann Awards (Norwegian Grammys) for much acclaimed and groundbreaking albums such as Isa, Ruun, and Vertebrae among others. After headlining Roadburn in 2008, the band returned to the 2010 festival as Artists in Residence, culminating in the Armageddon Concerto, a stunning collaboration with Shining (NO). This year they have invited Enslaved’s Ivar Bjørnson, along with Einar “Kvitrafn” Selvik (Wardruna), to curate the 20th edition of Roadburn Festival (a special event named Houses of the Holistic) on Friday, April 10 at the 013 venue in Tilburg, The Netherlands. 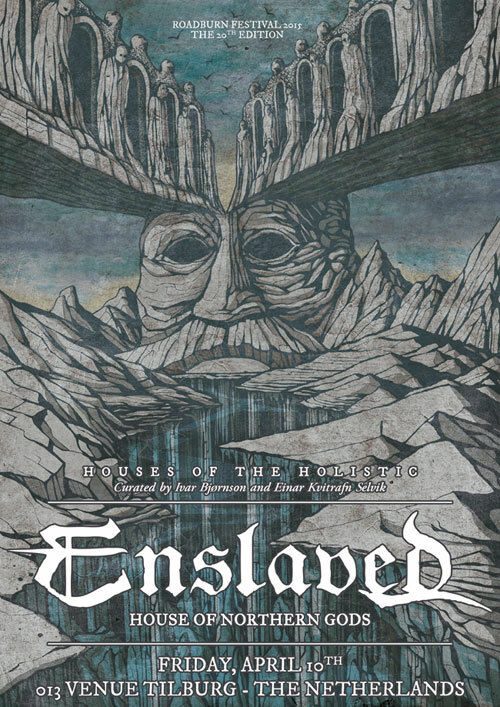 Besides performing Skuggsjá, the sound of Norway’s Norse History, together with Wardruna, Enslaved will also perform a show dubbed House Of Northern Gods, which will consist of a set list specially put together for Houses Of The Holistic, featuring songs from the band’s entire catalogue that embody the Norse gods, with accompanying visuals created by revered Romanian artist, Costin Chioreanu. Enslaved is currently working on their upcoming as-yet-untitled studio album, set for an early 2015 release through Nuclear Blast. After a stunning sneak preview, Walter & co can only conclude that Enslaved keeps blasting past their own and their associated genres’ limits. 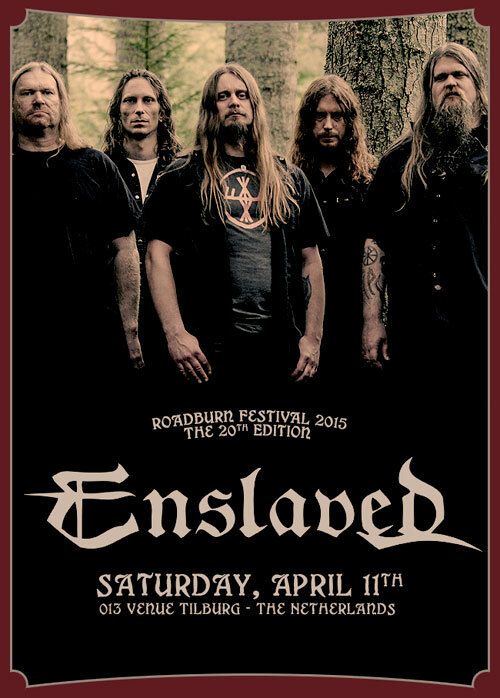 The band’s thirteenth full-length is highly energized, sometimes dark and destructive, but able to make you feel good as well – so good that it required us to invite Enslaved for a second show at Roadburn 2015 on Saturday, April 11th, so that all of our beloved attendees can bask in the band’s creativity and talent, and share their excitement about what is sure to become another Enslaved classic.